I am on a Mac running Parallels 12. When I run my Windows 10 VM in full screen mode, I don't want to see email or Slack notifications from Mac OS, just Windows 10. How do I disable Mac OS notifications from coming through when I am running my Windows 10 VM in full screen? Otherwise, I end up seeing double notifications, one for Mac, and one for Windows. 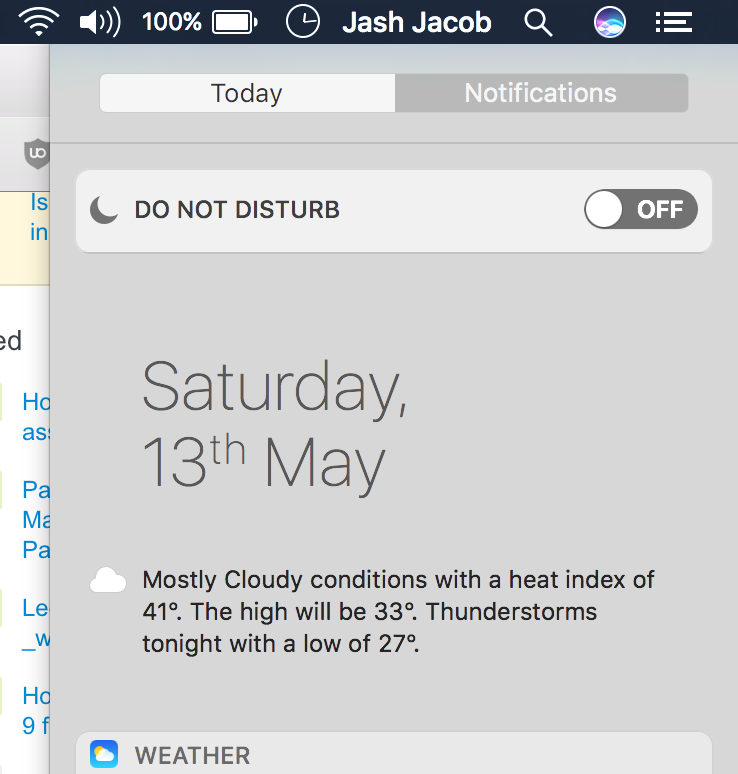 You can turn on Do Not Disturb mode from the notification centre quickly before entering fullscreen on parallels. Open Notification Center -> Pull Down to reveal Do Not Disturb toggle. 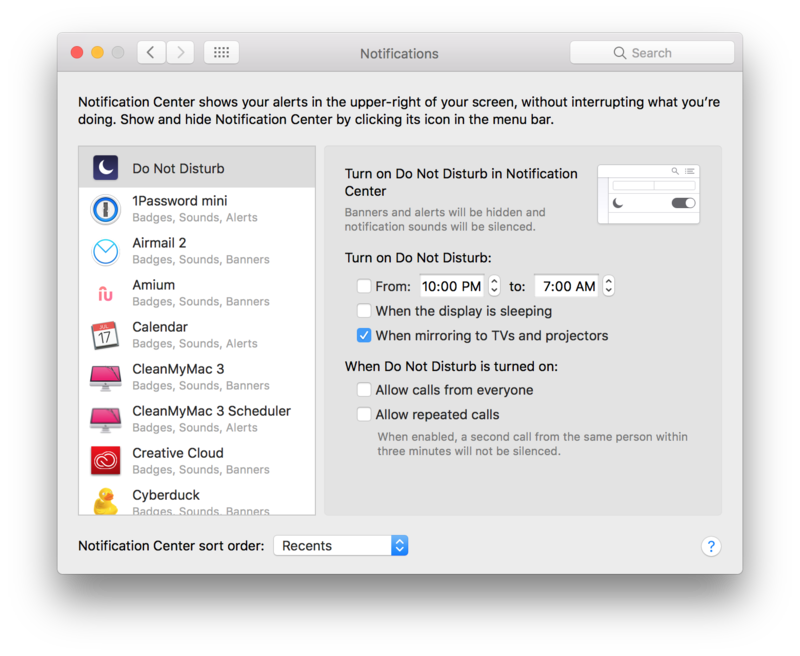 Alternatively, You can go to "System Preferences" -> Notifications to set custom Do Not Disturb settings. Not the answer you're looking for? Browse other questions tagged macos notifications parallels-desktop . Parallels or VirtualBox to run Clampfit on a MacBook Pro running Yosemite 10.10.3? Is there a way to disable all notifications on the iPhone?